Love Those Classic Movies!!! 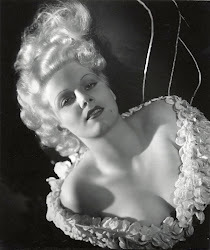 : Ziegfeld Follies (1945)..."Bring on those Beautiful Girls!" Ziegfeld Follies (1945)..."Bring on those Beautiful Girls!" Directed By: Charles Walters, George Sidney, Merrill Pye, Vincent Minnelli, Robert Lewis, Roy Del Ruth, & Lemuel Ayers. Each director contributed to at least one segment of this musical filled with many segments. 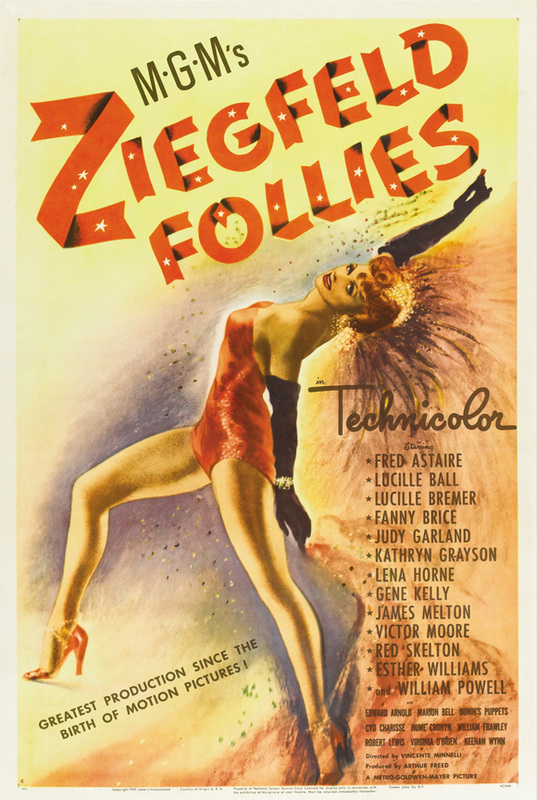 Starring: Fred Astaire, Lucille Ball, Cyd Charisse, Esther Williams, Lena Horne, Kathryn Grayson, Virginia O'Brien, Gene Kelly, Lucille Bremer, Red Skelton, William Powell, Keenan Wynn, Fanny Brice, Victor Moore, Edward Arnold, & Marion Bell. MGM Studios allowed this film the entire lot of stars to use for the filming and had a HUGE budget of one million dollars! The original cut film ran two hours and fivty-three minutes which was to be found too long by audiences whom orginially screened it. Leaving the only option to scrap out many scenes that were left on the cutting room floor, a shame!!! 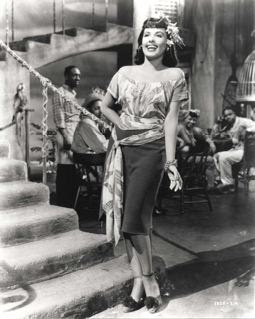 Lena Horne did not like the ghetto enivonment that was the setting for her segment of "Love" that she never recorded a commercial single for the film until years later. 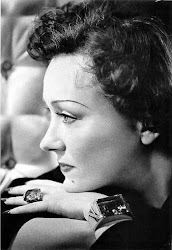 She did cover the song on her own shows and concerts but not speciifaclly for the MGM soundtrack for the film. 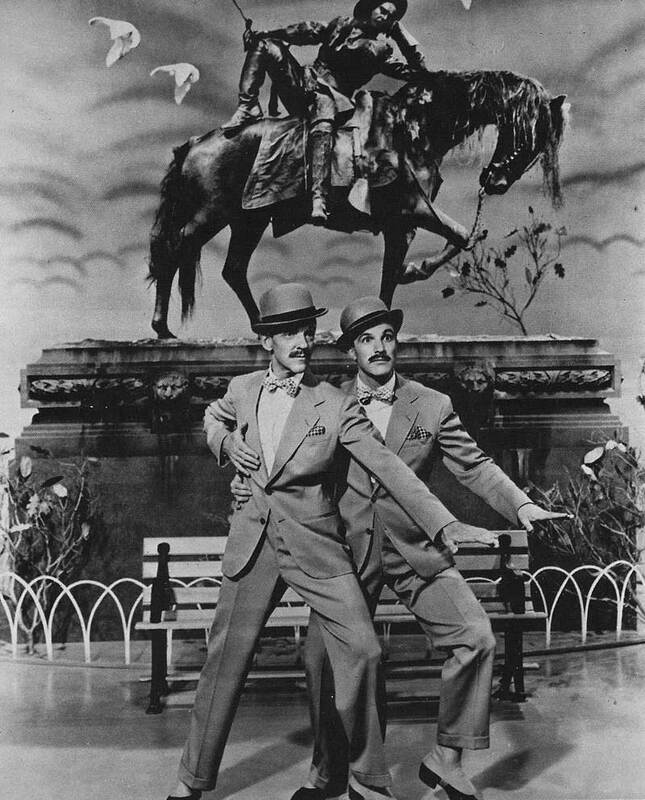 The horse that Lucille Ball rides in her segment is in fact that horse for the Lone Ranger's stallion, Silver! Several older ladies are highlighed in the segment of "Bring on those Beuatiful Girls" whom are actually original Ziegfeld Follies ladies. 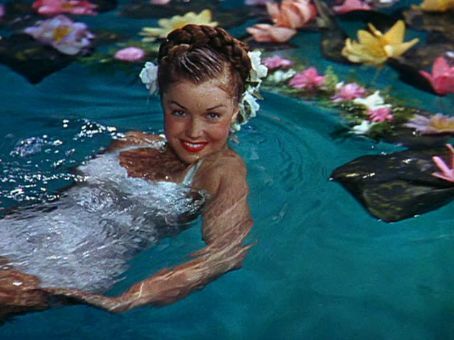 Esther Williams the bathing beauty! This is the first MGM musical to actually not have a plot what so ever! It is simply a musical with several segments to be exactly like "Ziegfeld Follies" was done on Broadway to be a musical and eye delight filled with musical splender and large sets. This classic is the take of what Florence Ziegfeld since passed would have done in the age of the motion picture with his beloved follies. I believe he would have done it exactly the same with the availability of the star power of MGM along with the grand sets, directors, costume designers, cinematographers, make-up artists and more that only MGM and it's MEGA POWER of a studio could do! Fred Astiare & Gene Kelly!! What a lovely musical that is delightful for any musical fan to watch several segments with your favorite stars of the day such as Luciclle Ball & Cyd Charisse in a segment entitled "Here's to the Girls" which Lucille is a ravishing lion tamer whom happen to be taming ladies! 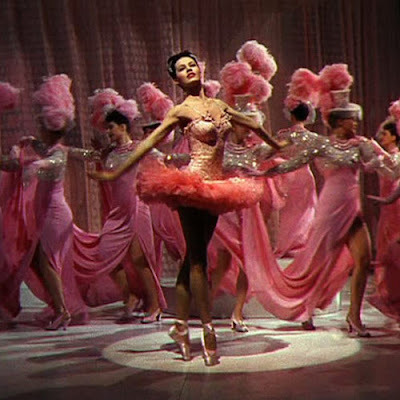 Along with Cyd Charisse's dancing through a beautiful set and bubbles, then it is off to watch Gene Kelly and Fred Astaire sing "The Babbit and the Bromide" then we see the sultry Lena Horne sing one of her trademark songs "Love" which is one of my favorites! Lena Horne belting out "Love!" My eyes are simply glues to the screen when watching this gem of a film going back and foth of all the lovely sets and segments, I just love it! More noteworthy segements is with Judy Garland singing, "A Great Lady Has An Interview" along with Esther Williams doing a beautiful swimming number along with the deadpan Virginia O'Brien doing "Bring On The Wonderful Men" also James Melton and Marion Bell do a simply lovely part of "La Traviata" which is oohhh soo red and spectacular! 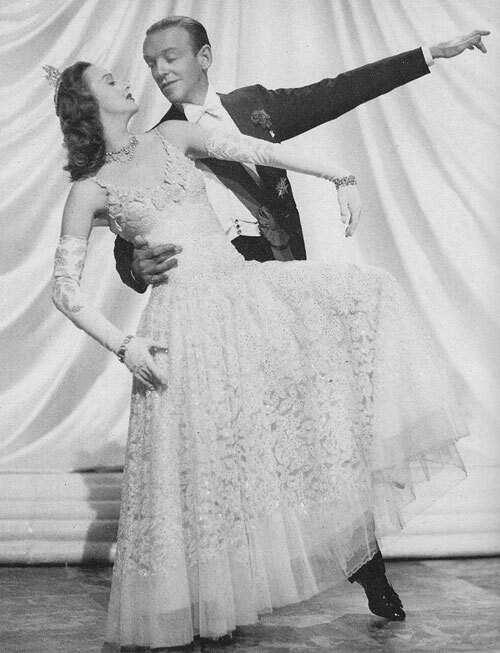 Another is the pairing of dance partners of Fred Astaire and Lucille Bremer doing a number entitled, "This Hearf of Mine" I voulf go on and on with such lovely numbers...wait there is of course Fanny Brice's segment I just can not forget which is from her radio show entitled, "The Sweepstakes Ticket" which is simply brilliant, what a comedian!!! 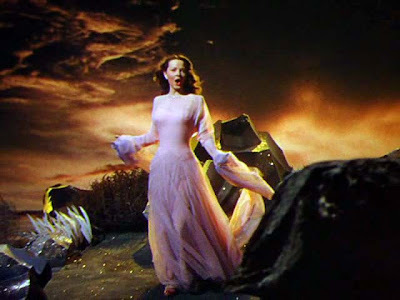 This is one of those true classic and all time MUST SEE MGM Musicals!!!! 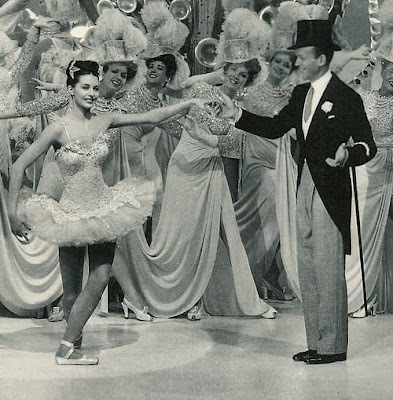 Cyd Charisse & Fred Astaire! Lucille Bremer & Fred Astaire! If there are a few practical websites to watch absolutely free movies, I bet a vast majority of them are more inclined to spend less. If you are more curious about blade runner 2049 movie then you can learn more about it on letmewatchthiscom.